Each summer for the past quarter century, the Idaho Division of Aeronautics has hosted a week-long Aviation Career Education Academy in Boise. The event has exposed more than 650 Idaho teenagers to career opportunities in aviation as a result. Looking to cast their net to a wider audience, event planners have begun making preparations to expand the service beyond the Treasure Valley, potentially adding satellite locations in eastern and northern Idaho. "Since 2001, the ACE Academy has seen an average attendance of 21 students," Explained Tammy Schoen, ACE coordinator. "There are only 30 available slots for students each year at the Boise site, but the demand is much greater." "Our aviation contacts across the state have indicated willingness to help coordinate and sponsor the event in their areas," s he added. They have already taken steps to increase appeal and applicability, adding a one-day "Living Lab" session at Boise State University for STEM (Science, Technology, Engineering, Math) teachers with the most recent academy, held in June. "The intent is to train teachers to incorporate aviation into their classes through skills and workshops they learn in our teacher's academy while working hand-in-hand with the students," Schoen said. "To entice them to come, we are infusing our program with STEM-related emphasis and activities." The Idaho Division of Aeronautics has partnered with Rich Stowell, a master in Aerobatics, pilot, author and instructor, to extend their services. 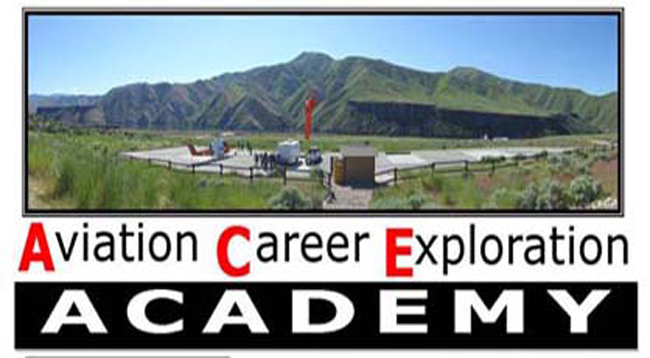 For additional information on the ACE Academy, contact Aeronautics at 208-334-8776.